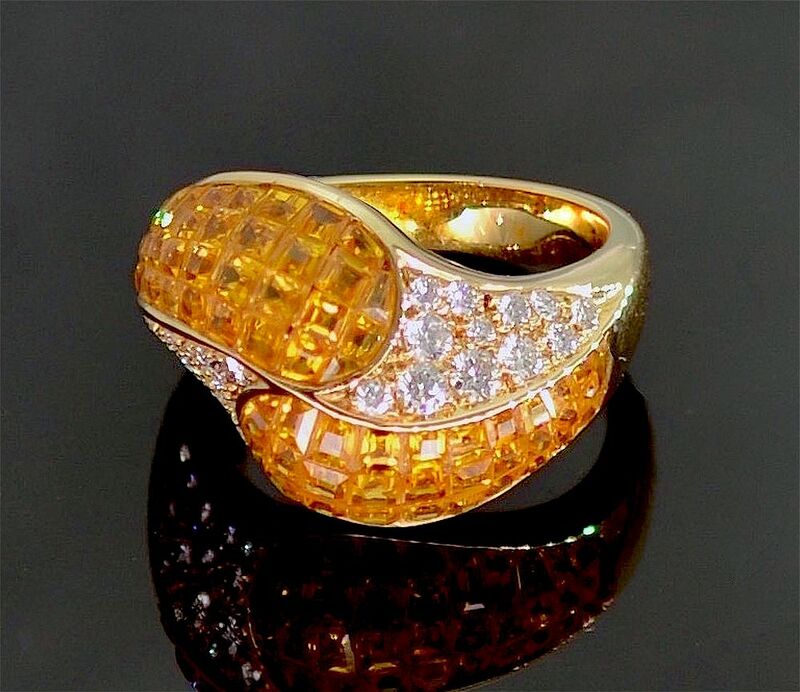 This very dramatic 18ct yellow gold ring is set with orange sapphires & diamonds. 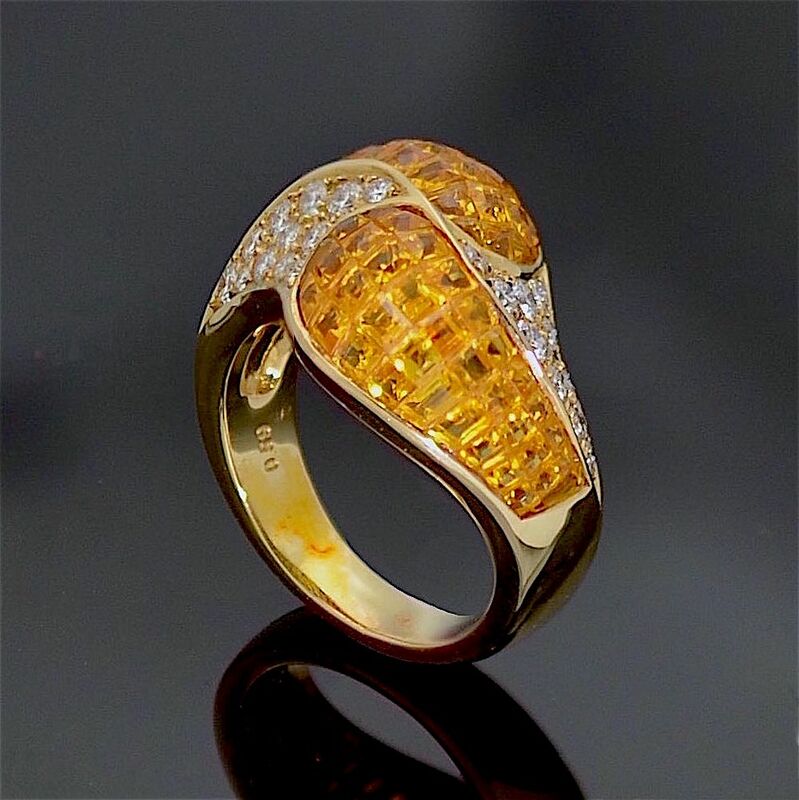 The partially domed top is shaped like a crossover ring, the two crossover sections being channel & invisibly set with a total of 71 square and tapered baguette orange sapphires. The "valley" sections on each side of the two crossover sections being bead claw set with a total of 24 round diamonds of varying sizes. The 18ct yellow gold shank is hallmarked by the London Assay Office for 18ct gold, 2015 and bears the sponsor's mark "A&SP" for Alan & Sue Poultney. A super look.